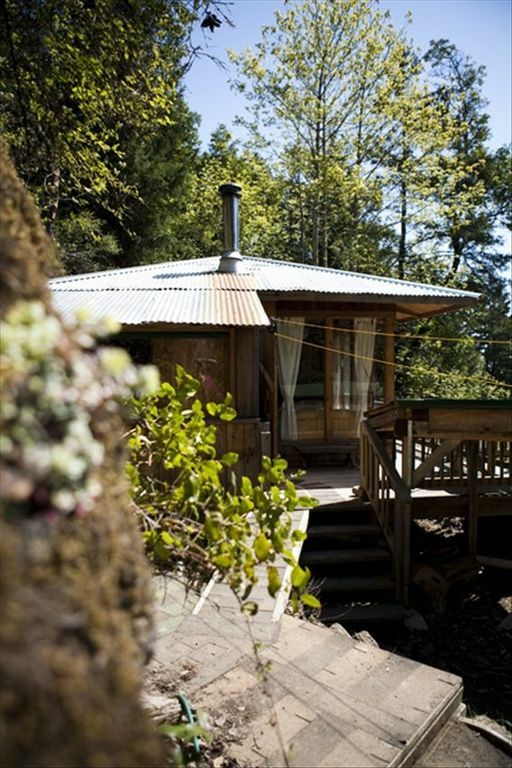 This bright, quiet cottage is situated on 6 wooded acres only minutes from Ganges, Salt Spring Island, BC. It is the perfect romantic get away for people who need a break from the fast pace of the city. It's only minutes from the famous Ganges Saturday market. A quick ride up to Mount Maxwell brings you to the best views on the Southern Gulf Islands. Like yoga? Well, we are a quick walk down a country road to the Salt Spring Island Yoga Centre. The owners are a certified Acupuncturist and an advanced Rolfer. We'll bring the treatments to you. Paradise doesn't get much better than this. We moved to the island to get closer to nature and raise our family. We want to share Salt Spring with others. What drew us here will probably draw you too: the artists, the alternative lifestyle, the peacefulness, the beauty, the healing, the friendliness. Salt Spring has it all and is arguably the nicest place to live in Canada. Salt Spring is a natural fit for us. We are both healers and this is a healing place. Our healing techniques make a lot more sense right up close to nature. Enjoy any one of our specialties; Acupuncture, Craniosacral Therapy, Rolfing, private yoga or the Alexander Technique. Famous Saturday Market in Ganges, Artist Tour all over the island, 15 minutes to views from Mount Maxwell, Ruckle Park, 10 Minute walk to Salt Spring Yoga Centre, 2 Minutes to Golfing, minutes to the ocean and lakes.